Millennials, Millennials, Millennials. Very much in line with Millennials’ insatiable desire for recognition, it seems like the last ten years of articles, videos, and speeches, were all about Millennials. As the first surge of Generation Z enters the workplace, organizations may be surprised at how different they are from Millennials (also known as Generation Y). Organizations, human resource leaders, and managers will need to learn about, and fully understand, this unique generation especially since they may be the solution to the never-ending talent attraction and talent retention challenge. Thus, employers will need to also adapt and bring a whole new way of working to the workplace to win over Gen Z. Most commonly referred to as Generation Z, there are many other monikers given to this generation, including Digital Natives, Globals, Post-Millennials, Millennials-On-Steroids, iGeneration, Plurals, The Homeland Generation, Centennials, and Delta Generation, or Deltas. MTV has labeled them The Founders. The fact that there are so many names floating about for this generation illustrates the general lack of understanding them. The rough consensus on what years they were born is from 1995 to 2014. They are the children of Generation X. Native-born American members of Generation Z number roughly 60 million, just outnumbering their endlessly dissected Millennial elders by one million, according to Susan Weber-Stoger, a demographer at Queens College. So what makes Gen Z different, and specifically what will companies need to do differently to attract and retain them? They have an even greater desire for the most up-to-date technology than Millennials. They have strong preferences for immediate access to information and want their employee experience to fully integrate with, and match, their customer experience. They care more about money than the last generation. Having lived through the Great Recession of 2008, they value financial security more than other generations. Having seen their parents laid off during the recession, this left a lasting impression on Generation Z. They are far more loyal than Millennials and do not plan to “job-hop” like Millennials did. They are far more socially conscious than their older brethren. In fact, 82% of Gen Zs consider Corporate Social Responsibility (CSR) a major factor in deciding where to work.2 In addition, 66% of this generation would take a pay cut to work at a more socially responsible company.3 In fact, it is not unheard of for Digital Natives to walk out of a job interview if they see the company still uses plastic water bottles and straws, most of which wind up in a landfill. They yearn for career development and a job that provides meaningfulness and purpose. While Gen Z values money more than Millennials, they also value learning and career development. In fact, 81% of Gen Z believes that a college degree is necessary to obtain one’s career goals.4 Furthermore, Gen Z is far more prepared to focus on their careers at a young age than Millennials have been: a 2016 Annie E. Casey Foundation study revealed that Gen Z had 40% lower rates of teenage pregnancy, 38% lower drug and alcohol abuse, and 28% higher graduation rate from high school, than Millennials. Gen Z cares much more about prices and getting deals than Millennials, mostly because they came of age during the recession of 2008. Sixty-seven percent of Gen Zs said they would go to a website to obtain a coupon for a deal, whereas only 46% of Millennials would due the same.5 A large part of this price sensitivity gap is explained by the fact that Millennials were the sons and daughters of the richest generation in American history, while Gen Zs watched their parents get laid off, lose stock & real estate value, and suffer overall economic hardship. They would very much like when social media is used to attract, recruit, and interview them. Specifically, Gen Z would love to see both digital and virtual reality instruments used throughout the recruiting process. Companies will find the need to alter their recruiting from in-person interviewing to online messaging and platforms that are tailored to this generation. This includes texts, Snapchat, Facebook, Instagram, and YouTube so they can use their phones. Gen Z is less focused. Gen Z lives in a world of continuous update and information downloads. In addition, Gen Z processes these updates and information faster than other generations, largely due to apps like Snapchat, Instagram, and Vine. Thus, organizations need to deliberately channel and challenge them to the task at hand. Gen Z are better multi-taskers. 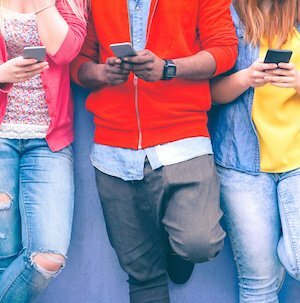 Although Gen Z can be less focused than their Millennials peers, they are highly individual and self-starters, creating work on their computer, while doing related work or research on their phone or tablet, at the same time making notes on a notepad, and then completing the work on their tablet while FaceTiming a friend. With many consistent and continual distractions, they are very efficient at handling work and play, often at the same time. Employers should consider how this trait could redesign how work is performed in their organization and its effect on culture. Gen Z is much more diverse than former generations. In fact, according to the U.S. Census bureau, almost half of Gen Z identify themselves as Non-Caucasian. Thus, companies will need to fortify and re-examine their messaging and commitment to diversity & inclusion. If they don’t, they will never be able to attract, engage, and retain Gen Z workers. Gen Z is more global. Smart and forward-thinking organizations will adapt and find new ways to attract, engage, and retain this wonderful new generation of workers and reap the myriad benefits of doing so, not the least of which is higher profitability. U.S. Department of Labor Study, 2016. This entry was posted in Blog and tagged Building a Magnetic Culture, employee engagement, hiring, talent management on October 15, 2018 by Kevin Sheridan.